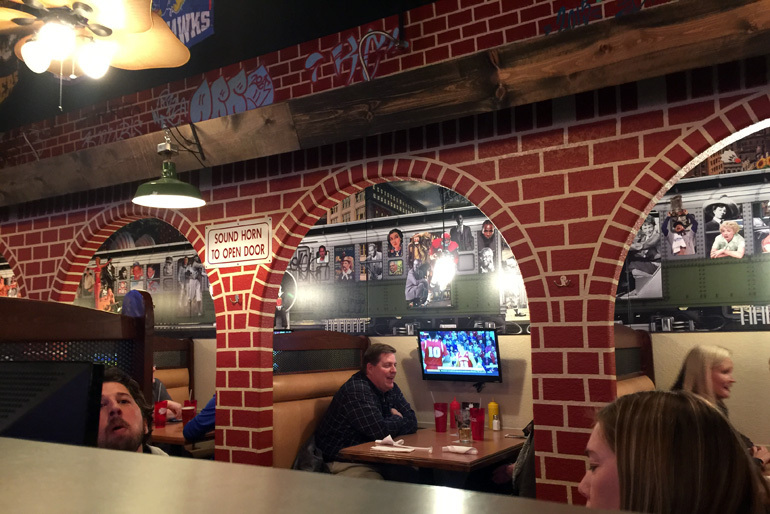 Our crazy friends Dave & Cory Knubley own a delicious pie joint in Shawnee called Pizza West. 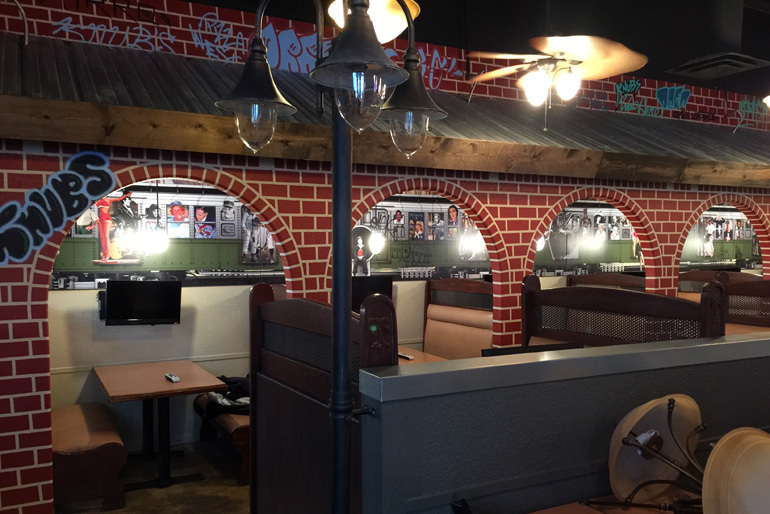 The guys came to me last summer with an idea to open a new public house nearby in effort to fuel their culinary creativity. 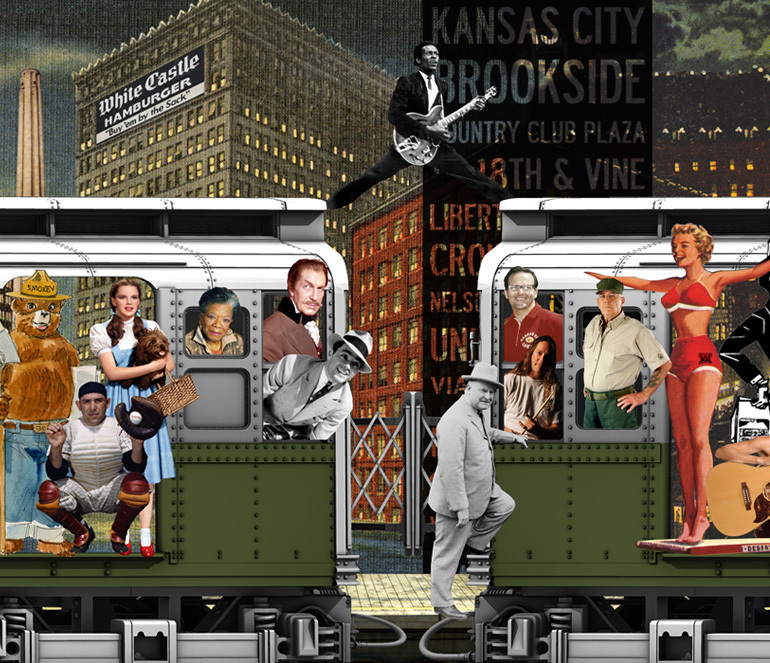 Alas Knub’s Pub was born! 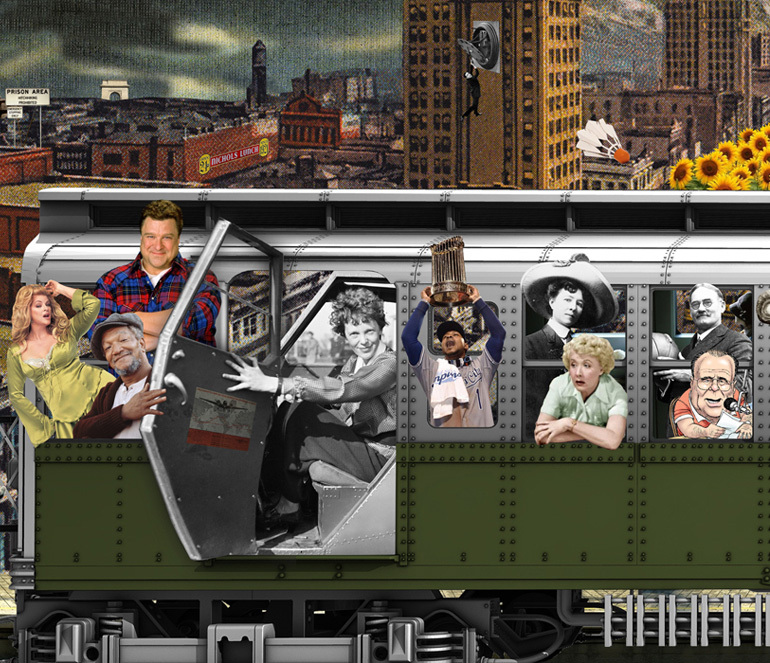 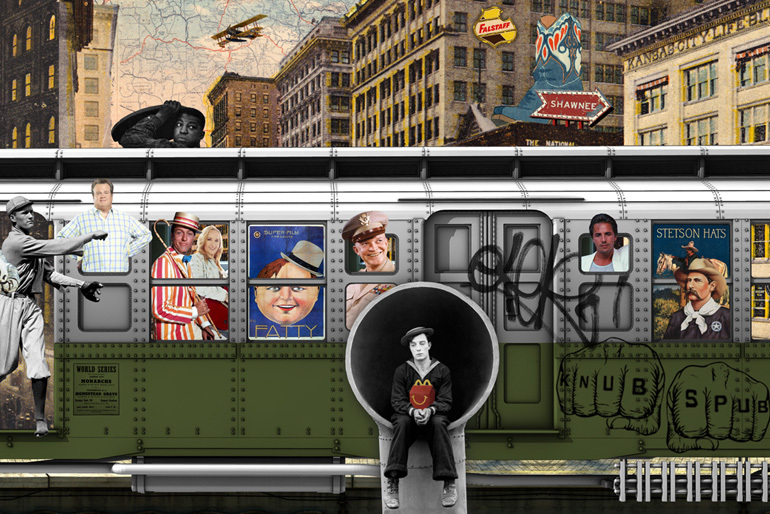 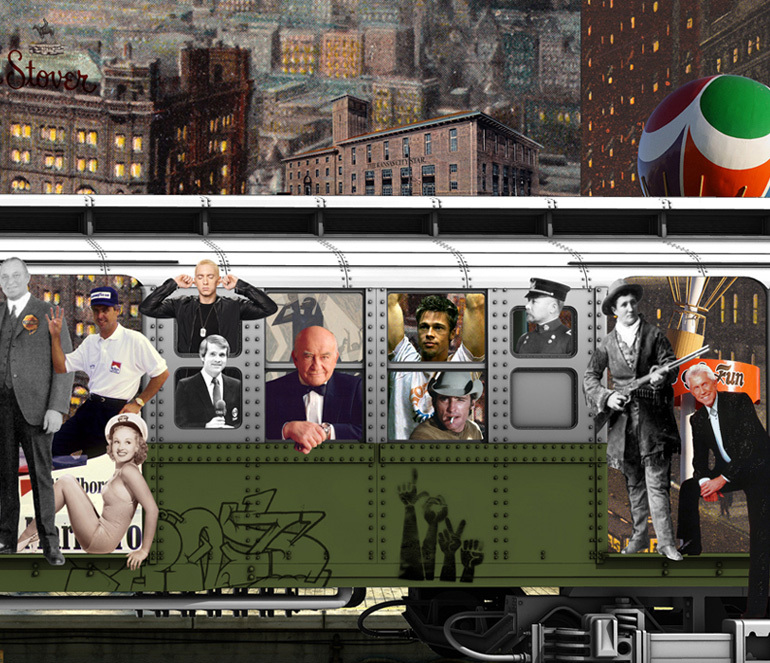 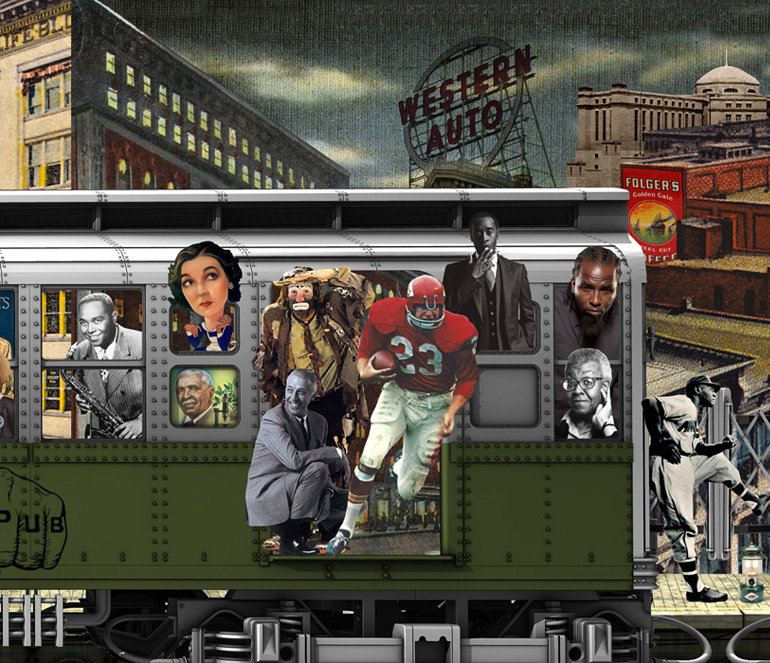 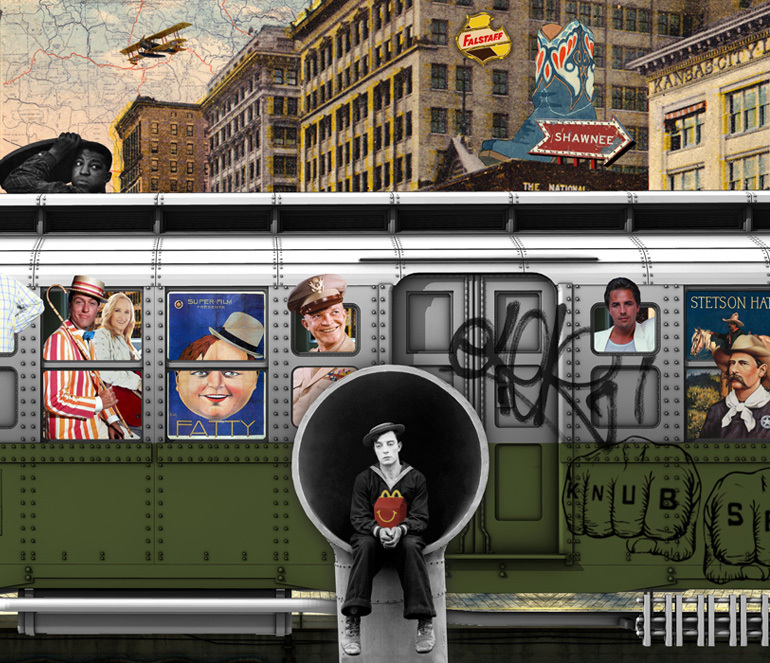 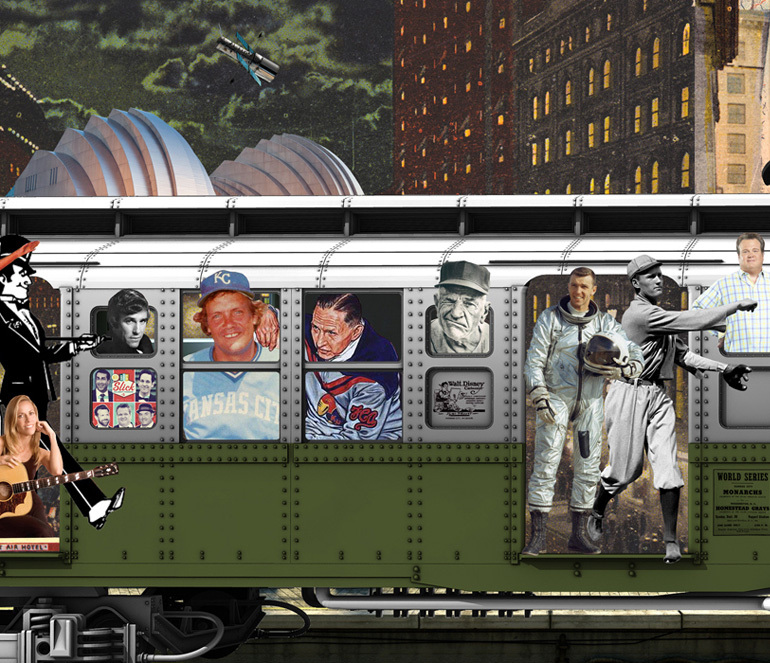 Wanting a mural for their new eatery and standing strong in their Midwest roots we collaborated in creating a bi-state locomotive spilling over with great “Middle of the Map” personalities. 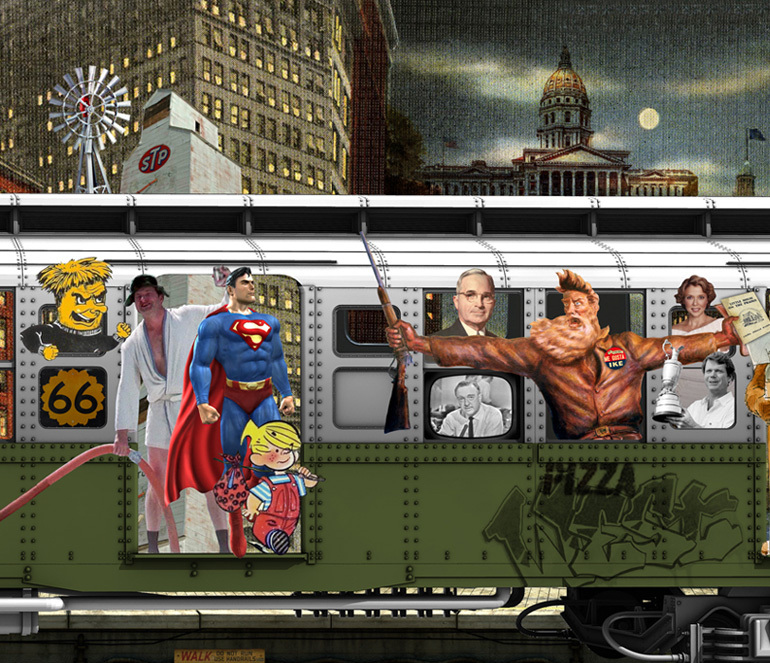 Each passenger hails from Kansas and/or Missouri and flexes that Midwest muscle! 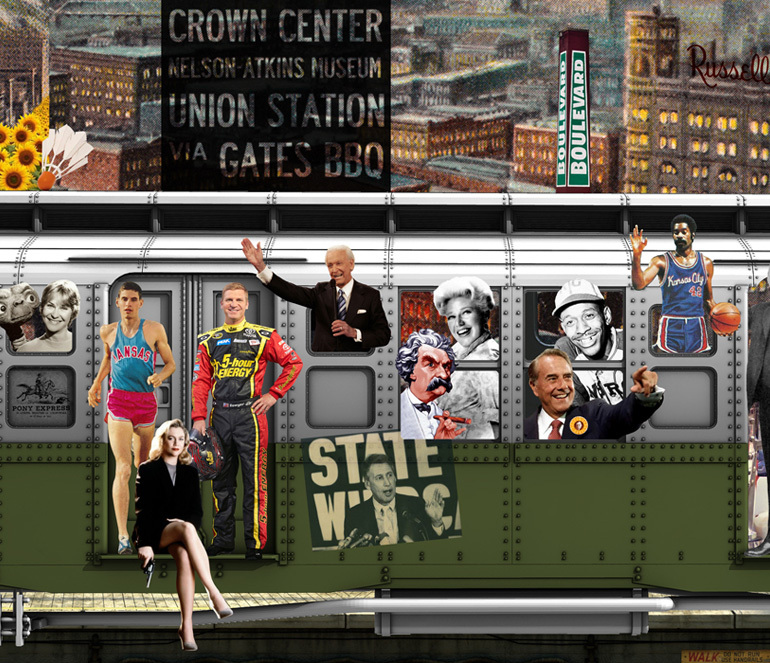 Stop in and see the guys, say hello, grab a beer from the tap of ages and try to identify them all!